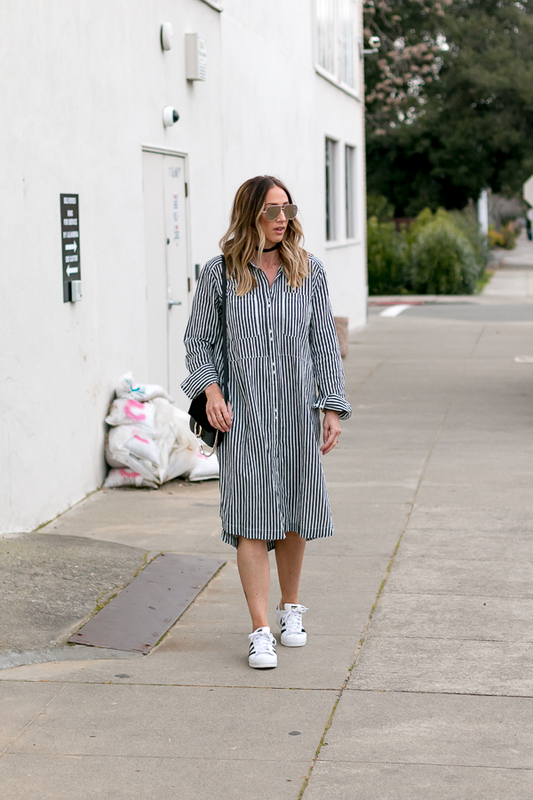 This shirtdress is so fun to wear and I love that a shirtdress can be worn multiple ways. For instance, I have also worn it with these booties (also here) and a moto jacket to work. And the side slits make it fun to wear with these skinny jeans and these white ankle booties. 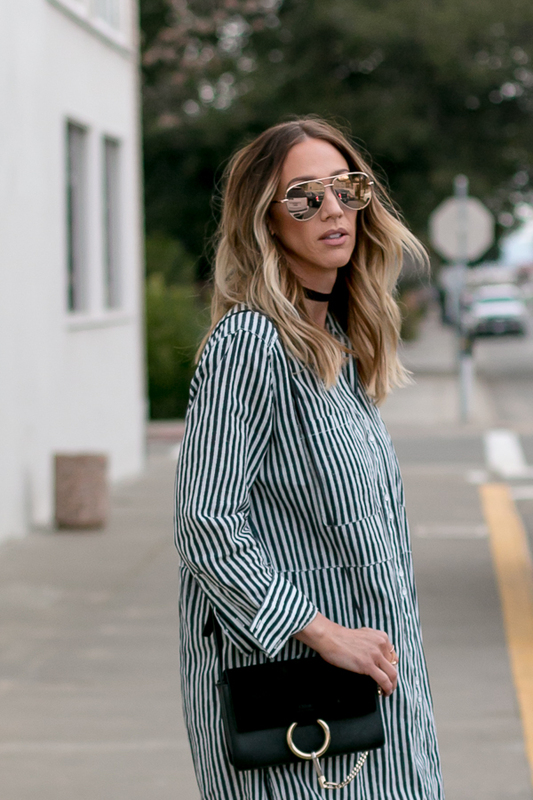 Multi-purpose fashion is so my jam!